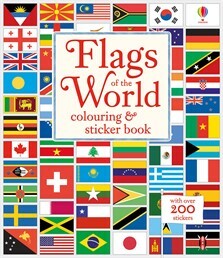 Discover the national flag of every independent country in the world in this fascinating sticker and colouring book. Fix the stickers in place, then use them as a guide for colouring in the flags. Grouped by continent, there are maps matching each flag to its country, information on flag colours and symbols and links to carefully selected websites.